I've been obsessed with these images for years. They were shot in the paddock of the 1964 Le Mans. The incredible contour line of the car, the brutal bare metal effect, the slightly underexposed picture and the "homely" feeling of the paddock wrap together all the best emotions I can get from researching the history of classic cars. 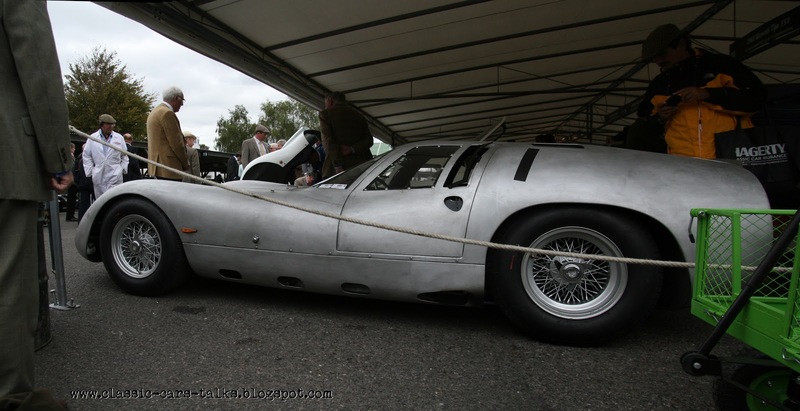 The Maserati 151/3 has got an extra value. It represent the ultimate, loud and romantic failure. It carried on its shoulders the expectations of 10 years of close calls and isolated glories for the marque. Arguably this particular car - chassis 151.002 - will take all these hopes away with it on the 10th of April 1965, Le Mans Test day. Lloyd Casner was pushing the car hard after a couple of warm up laps. The car must have been very close to its top speed of 198mph when approaching the "hunaudieres"'s bump, a particularly tricky bit. Cars were usually going slightly airborne at the time and with all four wheels off the ground, the only way to avoid disaster was to tap the brakes to point down the nose and partially lift off the throttle, trying to maintain the perfect speed at the rear wheels for the contact with the tarmac. Casner might have lifted off completely, according to Maurice Trintignant, but he will never be able to tell his side of the story. The car barrel rolled out of the track taking two trees with it. It was the horrible end for car and driver. 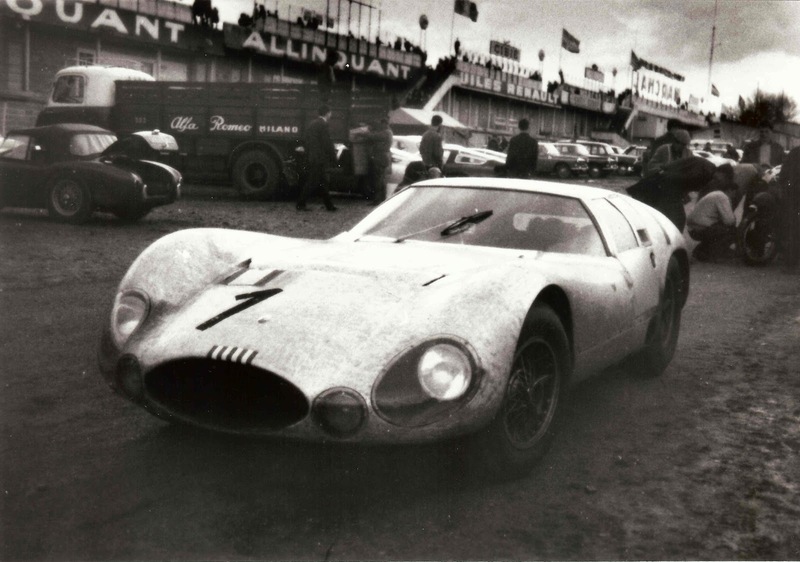 Its engine would have been recovered and fitted to a mid engined prototype, the Maserati Tipo 154 (or Tipo 65) and tried again, in less than a month at 24 Heures. But Jo Siffert crashed it in the effort of keeping up with the Fords and it was the very end of Maserati at Le Mans. The 151 project always had it an yet never stood a chance, a great design that didn't benefit from the necessary testing but still developed effortlessly. Only a handful of chassis were ever created and we owe much of this story to Johnny Simone, who ordered .002. 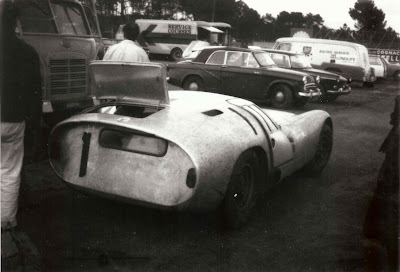 Two more sister cars were sent to Briggs Cunningham in the USA where they would have been raced much more often than the European counterpart. Changes in regulations stopped and restarted the development of the engine that started as 4 liter V8 and would raise to 5 liter with a development up to 5.2. But it wasn't a good time for Maserati that didn't have money to invest in proper development even after having graced the world in the fifties with the 450 and the notorious Tipo 61 birdcage. 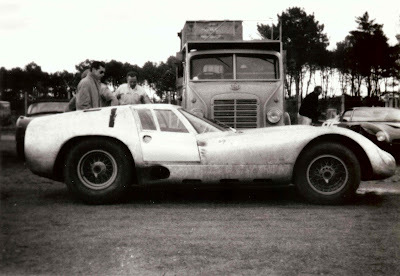 The 151 would be competing Le Mans in '62, '63, '64 and for the last fatal time at the testing in '65. They always stood a chance and quite often had the honour of leading the race. But lack of testing and factory development would curse the car. Gearbox failure, electrical failure, stuck throttle, alternator, battery and brakes showed up in one race or another, but the worse problem was possibly the useless De Dion suspension that was causing the internal rear wheel to toe in, literally eating the tires. The car would have to live with this issue until the winter of '63/'64 when one of the last upgrades turn the 151/1 into the 151/3. The car would receive extended track and wheelbase and a diet that took the weight from 975 to 940kg. The upgraded 5.0 V8 with its excess of 430 bhp and the new Drogo body would have been good enough to grasp 200mph (198 recorded). This last development is the shape in the pictures on top of this post. The amazing line gently wraps the front arches so tight that they would have to be hammered away in the pits. The extreme rear Kamm offered space only for a small vertical rear window. The scrutineers wouldn't like that during '64 test day and this would have to be enlarged with a flat, almost horizontal, roof window. These are just some examples of how little testing the car received and there's plenty more, like when one of the "American" sister cars had to be raced without doors for the extreme heat in the cabin (finishing second overall) or like the hilarious start at the 1963 Le Mans Start. "Picture the bright and sunny scene of the 151's greatest moment: In front of the packed grandstands, André Simon is uncharacteristically hopeful and feels ready for the sprint to the cars. A pompous official drops the flag, and 49 drivers dash across the tarmac. Simon reaches the Maser, and...the door is stuck closed! Adrenaline spurting from his ears, Simon yanks again harder and the recalcitrant portal pops open and smacks him in the face as the rest of the field roars away! Nose bleeding, badly delayed, and hotter than a jalapeño, Simon finally blasts away, flooring it through Tertre Rouge and onto Mulsanne Straight." I've been looking for the story behing those underexposed pictures for a long long time, collecting bits and pieces and sometimes being side tracked. I finally found a comprehensive and satisfactory story in an old article that Sonnery wrote many years back. Please take some time and read it HERE. It's typically very well written and maniacally researched. The car remained as a wreck and without the engine for at least 15 years before Peter Kaus restored it and sourced a correct engine for it. Carrozzeria Allegretti also managed to savage the original body buck to recreate that amazing body. After some races the car was supposed to be resting at the Rosso Bianco museum in Aschaffenburg, Germany, so you can imagine my excitement in seeing the car at this year's Goodwood Revival driven by none less than Jochen Mass. Seeing and hearing the car at speed is a feeling I shall never forget. Find here a selection of the pictures I took and notice how low the car is in comparison with the Astons and SWB. Click to enlarge.